We are a sophisticated SMART SPARRING Company: an agile cell with high INTELLIGENCE, driven by EXCELLENCE. 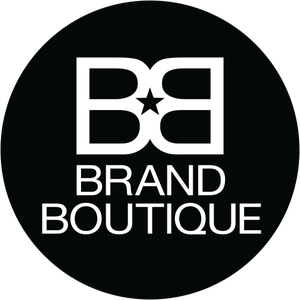 BRAND BOUTIQUE is a true "MANUFACTURE DE MARQUES", dedicated to empowering marketing, strategy & design. Fusing PRAGMATIC projection and making MAGIC. Creating a TAILOR-MADE concept for your truly unique brand. ... to go back to the roots of what marketing really is, of SUCCESSFUL STRATEGY and of DAZZLING DESIGNS. BRAND BOUTIQUE will react to market and client demands for greater agility and flexibility, for sparkling sparring and for MORE MEANING. We are: Founder & Catalyst Anne Luneau (Founder & Vorstand FutureBrand Germany, Founder & CEO Dragon Rouge Germany). Together with a Creative Collective of top brains, all people with tremendous knowledge, great intuition and lots of energy. TRUE & THOUGHTFUL | "Pretty pragmatic yet fizzy fresh"
BRAND BOUTIQUE has an exclusive focus on a few selected clients only, sharing a common philosophy, for an intense partnership. We follow simple yet effective work principles, organic flexibility is key. Our hallmarks: INTELLECTUAL ELEGANCE & AUDACIOUS YET PERTINENT strategic creativity. With PROVEN TRACK RECORD. BRAND BOUTIQUE gives you furthermore a unique FRENCH-GERMAN knowledge and a deep expertise of the MITTELSTAND.